U.S. military official Iranian navy has deliberately halted provocations of U.S. Navy ships in the Persian Gulf. A U.S. military official said on Thursday that Iranian naval forces appear to have deliberately halted their provocations of U.S. Navy ships in the Persian Gulf in recent months, The Associated Press reported. Navy Cmdr. William Urban, spokesman for U.S. 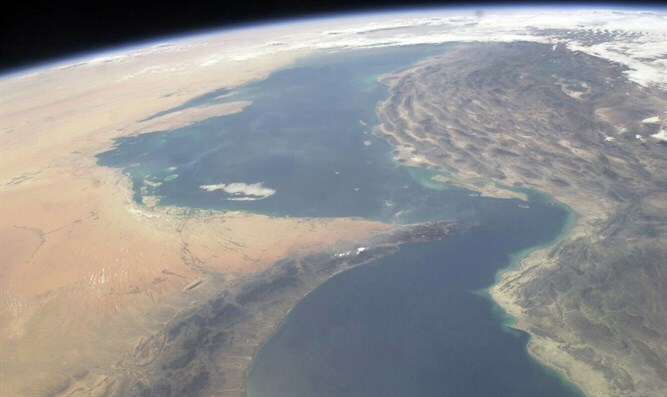 Naval Forces Central Command, said there have been no "unsafe and unprofessional" actions by Iranian naval forces in the Gulf since August 2017. Prior to that, Iranian vessels had periodically made high-speed approaches to U.S. ships that were considered dangerous provocations. In July of 2017, a U.S. Navy ship fired warning shots at an Iranian ship in the Persian Gulf, after it came within 150 yards of the U.S. vessel. A month earlier, an Iranian missile boat pointed a laser at a U.S. Marine helicopter while two Navy warships and a cargo ship were transiting out of the Persian Gulf through the Strait of Hormuz. The laser triggered a response and the U.S. helicopter automatically fired off flares toward the offending vessel. In March of 2017, the U.S. aircraft carrier George H.W. Bush confronted two sets of Iranian Navy fast-attack boats that had approached a U.S.-led, five-vessel flotilla as it entered the Strait. Earlier that month, Iranian military vessels had a close encounter with a U.S. surveillance ship in the Strait of Hormuz. The incident was described by American officials as an “unsafe” and “unprofessional” maneuver by the Iranians. Urban declined on Thursday to speculate on the reason for the change in Iran’s behavior over the last several months, saying that "it seems like they've absolutely made a conscious decision to give us more space." He added that it's "definitely a change in their behavior."